NEW YORK — Rabbi Andrea Weiss, an associate professor of Bible at the New York campus of Hebrew Union College-Jewish Institute of Religion and its incoming provost, remembered the joy that Rabbi Aaron Panken brought to his work. Weiss recalled how Panken would pop into his colleagues’ offices asking if they were having fun. “He had this very serious position as president of a very large institution, and he approached it with such joy and with kind of a boyish enthusiasm. He really loved his work,” she said. Friends and colleagues of Panken, the president of HUC who died May 5 in a plane crash, remembered him as a strong leader who was passionate about Israel and, above all, loved what he did as the leader of the Reform seminary and its campuses in New York, Jerusalem, Cincinnati and Los Angeles. “The college was his whole life. He was a real product of the Reform movement, and he was proud of it,” Rosensaft told JTA on Monday, May 7. Panken, who had led HUC since 2014, was killed while piloting a small aircraft near Wawayanda, NY, near the New Jersey border. A passenger, Frank Reiss, a flight instructor, was injured in the crash, whose cause is unclear pending investigation by the Federal Aviation Administration and the National Transportation Safety Board. Panken was a licensed pilot. Prior to serving as HUC president, the native New Yorker held senior positions at the school, including vice president for strategic initiatives, dean of the New York campus and dean of students. Provost Michael Marmur said the school had yet to make succession plans but would have an announcement regarding the issue in the coming days. HUC is holding memorial services on all of its campuses this week and livestreamed his funeral on Tuesday. Panken worked to expand the HUC rabbinical program in Israel and its Jerusalem campus and recently ordained its 100th graduate. “He was so full of pride and excitement about what these men and women are trying to achieve in Israel,” Marmur said. Panken started several Israel-related programs, including one that brings Israeli rabbinical students and graduates to visit the US to learn more about Jewish life here. Another program, in partnership with the Foreign Affairs Ministry of Israel, strengthens ties between young Reform Jewish leaders and Israeli political and cultural figures. He also created a program that brings Jewish, Christian and Muslim schoolteachers in Israel to the HUC Jerusalem campus to learn about tolerance. “He was creating change and working toward positive change in Israeli society in order to strengthen Israel,” Rosensaft said. Rabbi Joseph Skloot, an assistant professor of modern Jewish intellectual history at HUC, remembered how friendly Panken was on their first meeting, when Skloot was 18 and a counselor at the Union for Reform Judaism Eisner Camp. “Aaron had a gigantic heart and no artifice, and he was curious and engaged and wanted to get to know you,” Skloot said. Later, when Skloot attended the HUC rabbinical school, he was struck by Panken’s engaging teaching style and mastery of rabbinic literature. “His love of the Talmud and the rabbinic texts was unusual for someone who grew up in the Reform movement, where unlike in Orthodoxy, where young people are trained in those texts from a very young age, we aren’t,” he said. Skloot said Panken was able to convey that passion for the Talmud to his students. “He was able to take students of different levels and backgrounds and show them the technical complexity, the inspirational wisdom at the heart of a basic sugya [topic] of the Talmud,” he said. Marmur, who worked with Panken for some 20 years, said Panken had a talent for making others excited about what was happening at HUC. “He was one of those rare people who could really get people on board and get them excited about a vision for this place. “He was tireless,” Marmur said. Weiss said Panken was dedicated to supporting the HUC faculty. She recalled speaking to him about an idea for a project to have 100 religious leaders write letters about American core values to President Trump to be delivered on the first 100 days of the new administration. The following day, he returned and wholeheartedly threw his support behind it. “He was the kind of person who really helped nurture people to be their best and helped people grow professionally,” Weiss said. 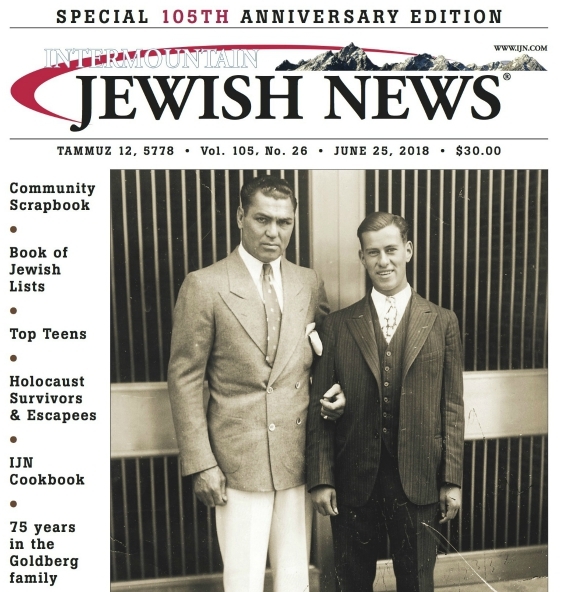 Panken lived with his family in Scarsdale, NY, and was a member of the Westchester Reform Temple, where he had previously served as a rabbinic intern. He is survived by his wife, Lisa Messinger; his children; Eli and Samantha; his parents, Beverly and Peter; and his sister, Rabbi Melinda Panken of Congregation Shaari Emeth in Manalapan, NJ.